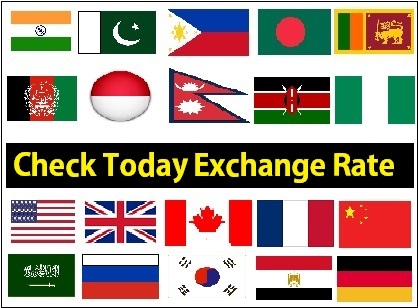 Good Day to our Philippine & Indonesian Fans around the Globe, hope everything is going fine, we are working and helping UAE Expats for free especially for Filipino expats here in United Arab Emirates, due to which we have reached the 6.5 Million visits in just 6 months. Our aim is to provide authentic information regarding, UAE Labour Law, Immigration Announcements, UAE Visa issues, Absconding cases, Blacklist, Lifetime Ban, Overstay issues and solutions, Visa approval and rejection problems, confirm UAE jobs and much more. 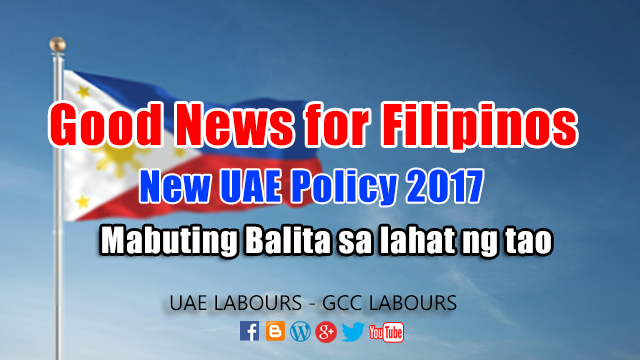 We are here with another Good News before Christmas and the good news is that Ministry of Human Resources and Emiratisation (Ministry of Labour) is going to handle the recruitment and Employment process for all domestic workers who are mostly from Philippines and Indonesia. The best part of the Good news is that domestic workers including all household service workers will now have the same rights and privileges enjoyed by private company employees here in UAE. Philippine ambassador to the United Arab Emirates CONSTANCIO VINGNO JR said: “Philippine authorities have raised the issue of minimum wage for domestic workers to set at $400 that is 1500 AED minimum and other concerns such as granting an obligatory 1 day off every week and allowing them to keep their own passports”. "The UAE government has addressed our concerns and now what we are waiting is to see the final copy of the law” said CONSTANCIO VINGNO JR. He more added: “The announcement is a move in the right direction. This is probably an offspring of the consultations held early this year by members of the Philippine Labour delegation with officials from Ministry of Human Resources and Emiratisation (MOHRE). He more added "The new policy of UAE Government's reflects their strong commitment to human rights, and ethical business and recruitment in labour migration." Minister of Human Resources and Emiratisation (MOHRE) Mr. SAQR BIN GHOBASH SAEED GHOBASH said: “The ministry would look to continue to build on the strong work carried out by the Interior Ministry, and it was important to have employment come under 1 Government umbrella. He more added in a statement that “we intend to build on past achievements in taking over the administration of this sector. As in most countries, all sectors of employment bow become the responsibility of a single government agency”. Higher Diplomats from Philippines and Indonesia appreciated the new Policy of UAE Government to handle the recruitment & employment of domestic workers to MOHRE. Top Diplomats from Domestic worker countries said “there will be a better mechanism to address the issues of domestic workers and at the same time this will also professionalise (improve) the sector. What are the changes in this new Rule? Currently all recruitment, work visa permits and other visa issues for domestic workers here in UAE is controlled by the Ministry of Interior, whereas as per new Rules and mandate the visa process, work permits and other issues regarding domestic workers will be handle by MOHRE. Who are Domestic Workers in UAE? According UAE Law Domestic workers are those who are employed by Households (working under Emirati sponsor, local Arab families) or under UAE Residents as a Housemaid, Nanny, Cook, Male & Female Drivers, Gardeners, shepherds and security guards etc. What about the existing Visa Application? At present, all domestic workers are working under Ministry of Interior (GDRFA, General Directorate of Residency and Foreigners Affairs) but those who wish to apply new visa as a domestic worker will follow up with MOHRE (Minister of Human Resources and Emiratisation) not Ministry of Interior. The New Visa applications for domestic workers will be issues by Ministry of Labour that is MOHRE (Ministry of Human Resources and Emiratisation­) and will start accepting the new applications from the first quarter of 2017. Will it be the same in all states of UAE? No, currently in the first quarter of 2017 it is only starting in Dubai, whereas in the second quarter of 2017 it will start being implemented in all states of United Arab Emirates including Abu Dhabi, Sharjah etc. How many Countries are under this New Policy? The New Rules for domestic workers is for all those countries who are sending domestic workers here in United Arab Emirates such as Philippine, Indonesia, India, Bangladesh, Srilanka etc. What will be the Benefits of this New Rule? Please share this Important and very informative Article with your friends, colleagues and family members on social sites from below icons, thousands of expats are looking for authentic information here in UAE. Your 1 Share will be appreciated and it is enough to help someone. Click Here to Read " New UAE Ban Rules & Profession Categories"
Click Here to Read " UAE Annual Vacation & Leave Salary Rules"
Click Here to Read " How to check UAE Visa Status Online"
Anyone with this problem should please do contact doctor climent Scott now he will help you too. Hope it will apply on us...coz me, I'm already working for 5yrs same employer but 'til now I don't have day off and can only go for vacation every 2yrs...so unfair, if I can find job in the philippines, I will stay there...than to sacrifice here and have no freedom. Please confirm that this new rule is applicable to visas that expired last 19th of January. Thank you. Any news when is the amnesty..
Good day!Is it possible to lift a lifetime ban? Is it same for Pakistani workers. Good day sir/maam..how about the amnesty?is there an update? Thank you. ( agbazara@gmail.com ) OR WHATSAPP: +2348104102662.